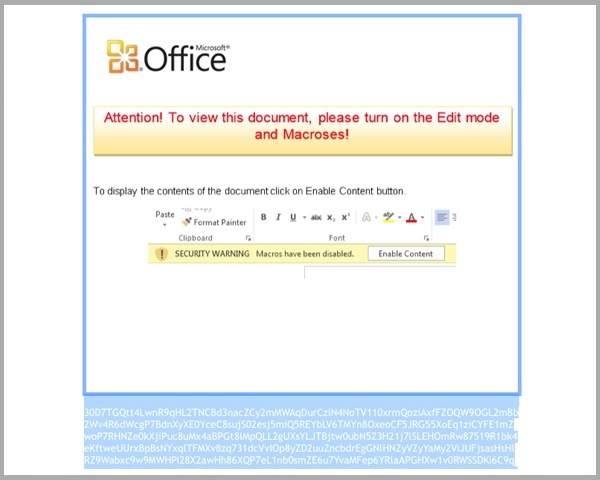 MailGuard have recently identified and blocked a large scale run of email spam containing Word files infected by macro malware. We can confirm at the time of report, no major antivirus vendors were detecting these documents as containing a macro virus. Whilst macro malware scams have existed for years, we have identified a large increase in their distribution recently.